Save the date for GEMS 2020! Join us Saturday, February 15, 2020. 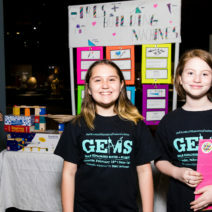 The Houston Museum of Natural Science and the Girl Scouts of San Jacinto Council invite you to attend the annual Girls Exploring Math and Science (GEMS) event. The Houston Museum of Natural Science will be filled with hands-on science and math for everyone to experience. 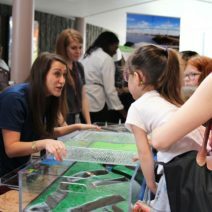 Local professionals will be at the Museum to answer questions about their careers in the fields of science, technology, engineering and math (STEM). Join us on Saturday, February 15, 2020 from 9am to 1pm to see STEM in action! The GEMS event is included with admission to HMNS permanent exhibit halls. 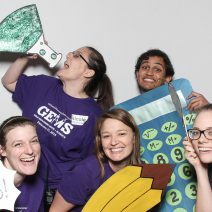 If you would like to participate in the GEMS event next year, email GEMS@hmns.org to be added to our notification list. Applications will be available Fall 2019. NEW opportunities for organizations at GEMS 2020! This year, you have the opportunity to support the students at the GEMS event and get your recognition on the back of the GEMS t-shirt. For more information on how you can support GEMS, contact GEMS@hmns.org or fill out the application below.